Marquette is the U.P.’s largest city. With a strong economic and academic base, it’s culturally sophisticated. Yet it’s still a wilderness at heart. 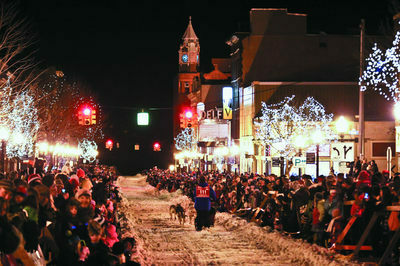 So don’t be surprised when mushers careen down its streets at midnight in mid February. In fact, expect surprises around every turn. City life doesn’t have to be crowded and stressful. Wilderness life doesn’t have to be isolated and serene. These two very different worlds, in fact, can live in concert with each other. And no place proves that better than Marquette County along the shores of Lake Superior. Read more About Marquette County.